Great service, friendly and professional, and left our apartment sparkling clean! Tetyana did a wonderful job! Super sweet and detail-oriented. Would definitely recommend! Very professional and detail focused! Fantastic job cleaning areas I didn’t even think of and ensuring all areas were covered. The professionals at FixyFix are experienced, friendly, fully insured, and have passed a comprehensive background check. 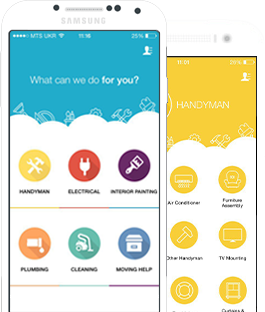 Book our services at least 24 hours before it is needed and FixyFix can guarantee a professional at your home the next day! We guarantee that our professionals will provide top notch cleaning and handyman services, no matter how big or small the job may be.